Castle Age: Heart of Darkness is a new facebook game by Castle Age developers Phoenix Age that recreates the original Castle Age with a flash interface. The result is a very nice interface with new game art from the artists who also worked on Castle Age. Castle Age: Heart of Darkness was initially released as a Festival Game in the Castle Age Festival but was later pulled out and made into an independent game. 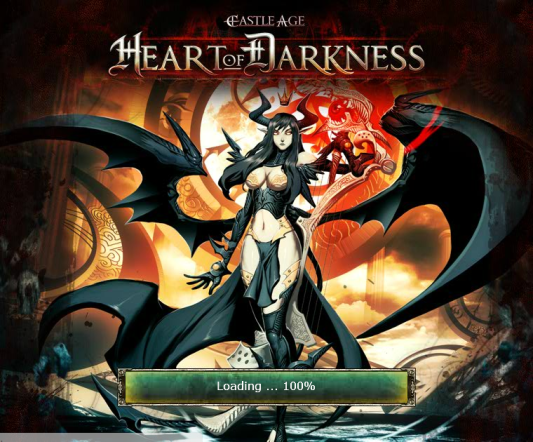 Castle Age: Heart of Darkness is pre-release stage according to the developers and as such there are a LOT of bugs. That didnt stop me and other Castle Age players in trying the game out though. Play Castle Age: Heart of Darkness now and ADD ME UP! Same here..I had a monster then nothing! I can’t even get the screen to pop up in front so I can add a member or send an invite. Same crap that I had with castleage..sick of it!